Our sensor module is developed as a shield board plugged on top of Arduino that is the most widely used microcontroller for IoT. The module monitors water temperature, water level, liquid fertilizer concentration, temperature, humidity, luminance, pump current, and so on. 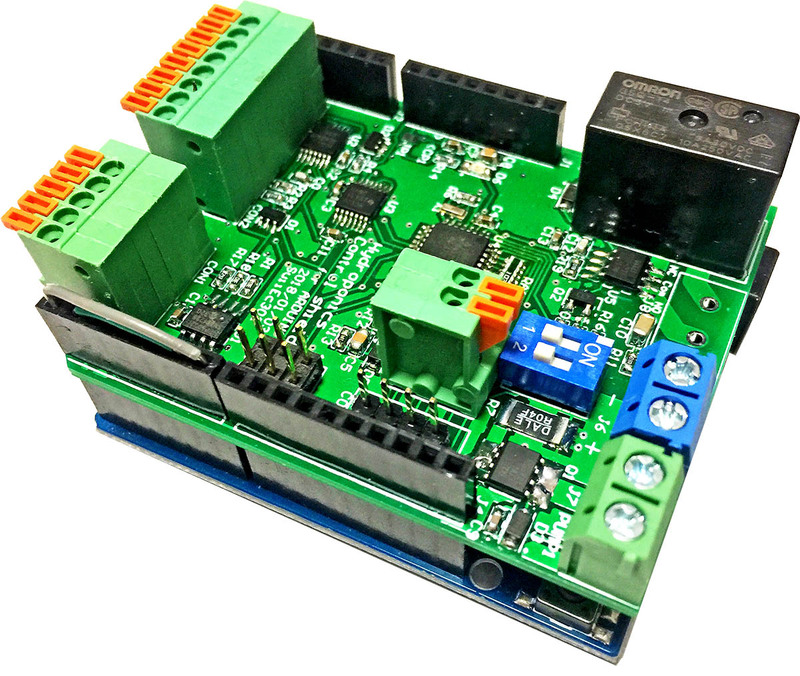 The sensor data and control signal are transmitted by WiFi supported by Arduino YUN or an Arduino compatible board MeMos D1 R32 embedded with a WiFi AVR module ESP-32. The module communicates with Arduino through a software serial using two digital ports, and other I/O ports and a hardware serial on Arduino can be used by a user. Two relay switches embedded on the module are used for a water pump and a fertilizing unit. 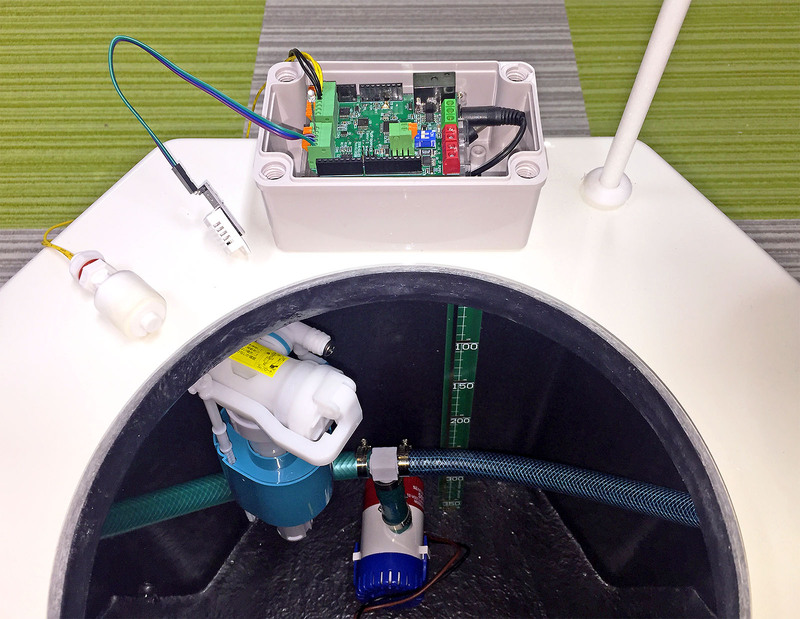 A special sensor stick designed for a compact hydroponic system measures water levels and a liquid fertilizer concentration. The concentration is detected as an electro conductivity between two electrodes at the edge of the stick dipped into the liquid, and the conductivity is converted to a frequency by a CR oscillator. This sensor module is developed by TROCHE who is a distributor of SAKURA boards. A light communication protocol MQTT (Message Queue Telemetry Transport) for IoT is used for sensor data transfer, and the data published by Arduino are protected by security protocol TLS (Transport Layer Security). A microprocessor board Raspberry Pi is used as a Broker that receives and sends the data from Publishers (Arduino) and Subscribers (such as mart phones and tablet PCs). In addition to remote monitoring, a user can also publish commands such as pump control to Arduino through Raspberry Pi. 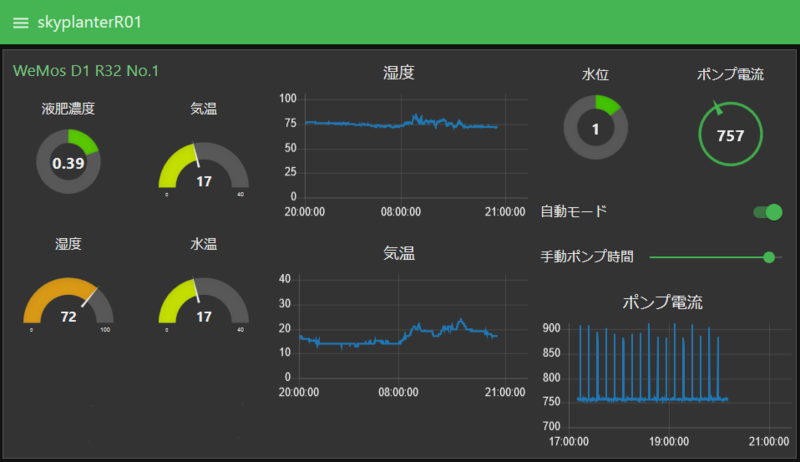 In order to analyze the sensor data later, the data are stored by the most popular open source database software MySQL. When abnormality of the pump or the water level is detected, it is or a pump, the broker transmits a warning mail to the user. Node-RED is used for GUI, and user can customize functionality of the hydroponic system on Web browsers.